Align goals, give instant feedback, celebrate success, and repeat easily. 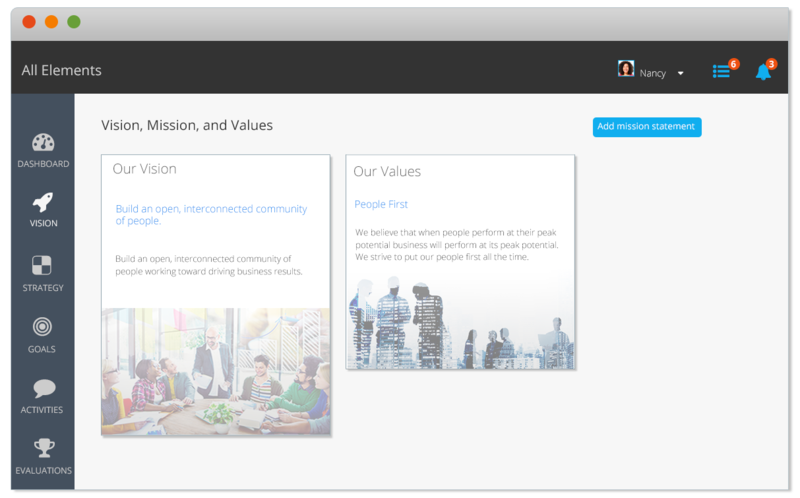 Reinforcing your vision, mission and quanitifying your values just got easier. All Elements effortlessly connects your people to the purpose of your organization. 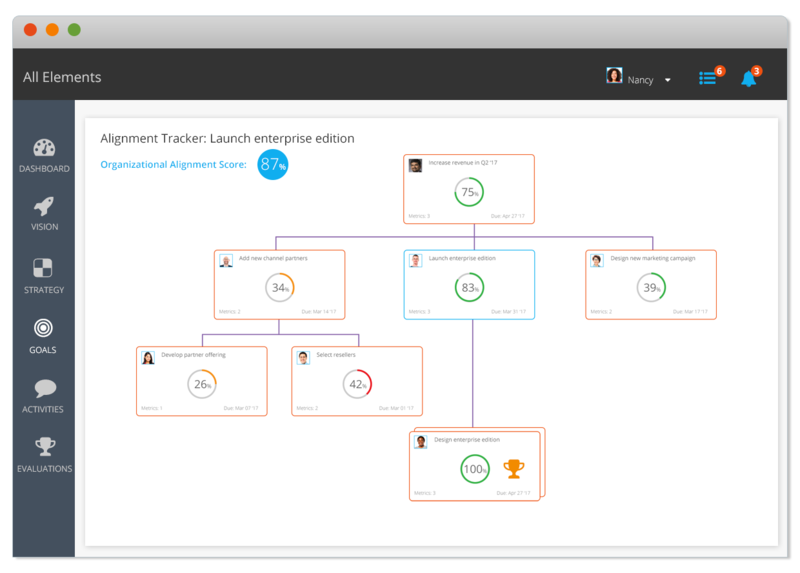 In just minutes, you can easily communicate your strategies so your organization is always aligned. 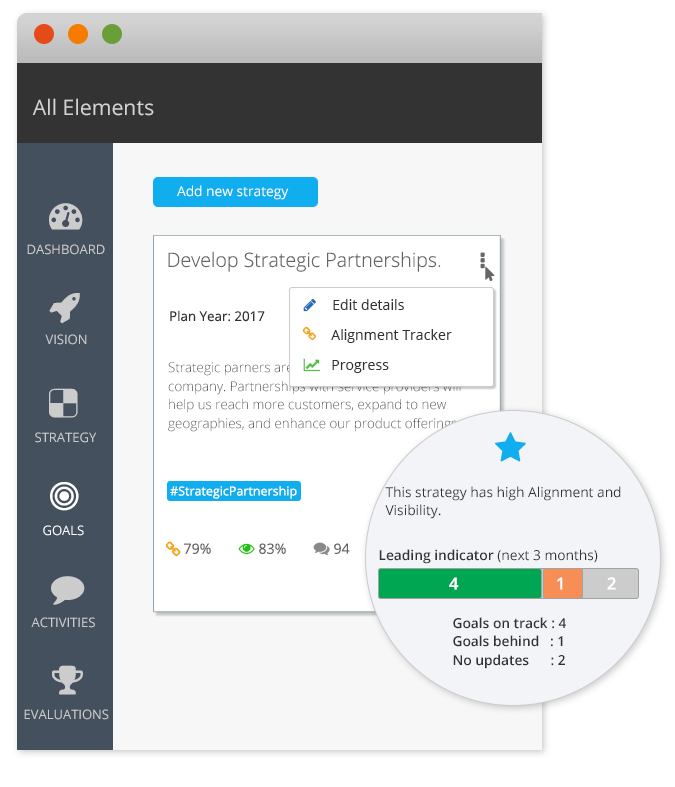 All Elements will alert you on misaligned goals, competing priorities, and potential risks so your team never loses its track. People best work together when they can see how their work impacts the work of their colleagues. Continuously assess and adjust goal performance by simply checking-in, adding comments, and sharing progress. Scheduling a performance development cycle, a weekly 1-to-1, or twice a year review has never been this easy and FUN!! With visible and trackable progress, both managers and employees have a clear view of their performance at all times, not just at the yearly performance review. Capture and share moments in your live activity feed to spark workplace camaraderie. 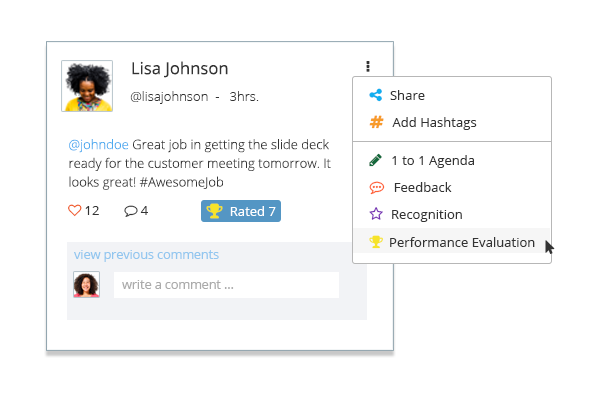 Keep your recognitions, feedback, and performance related activities all in one place so its easy to search, sort, and share. Nurturing an engaged workforce has never been this easy. You can measure people and business performance in real-time. 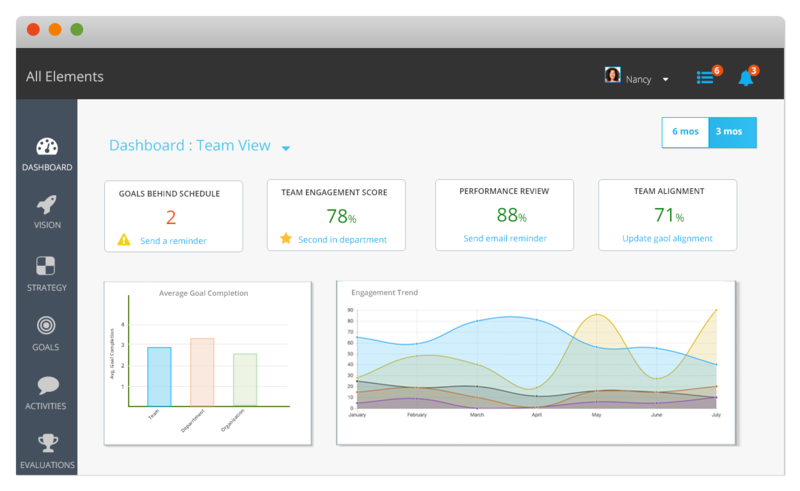 With over two dozen KPIs accessible to everyone, you and your team will never have to spend hours in unproductive meetings anymore.